Published in Life & Health on 06/05/2017 by Harry Lew, Chief Content Writer. 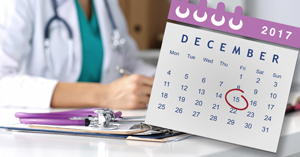 In a move it claims will stabilize the individual health insurance market, the U.S. Department of Health and Human services has finalized a rule that will reduce the Affordable Care Act (ACA) open-enrollment period from three months to six weeks. In a related move, the Administration has announced looser enforcement of the ACA tax penalty. Whether these moves stabilize the ACA or undermine it only time will tell. But in the short run, agents will have to step up their marketing in order to get their health insurance prospects through a narrower window. The new enrollment regulation goes into effect on June 19,2017. It means the 2018 enrollment period will now last from November 1, 2017 to December 15, 2017. Prior enrollment ended on January 31, not December 15. Another feature of the new HHS rule is that consumers must now file proof of eligibility to enroll outside regular open enrollments. The government claims giving consumers this flexibility makes it easier for them to game the system. In addition, insurers can now make former insureds pay their past-due premiums before enrolling for insurance with the same firm the next year. This is another rule “fix” the government claims will reduce gaming. Finally, on the ACA tax penalty front, the Internal Revenue Service announced it will not reject tax returns from consumers who fail to say whether they maintained health coverage during the tax year. However, tax penalties will remain, since removing them requires Congressional action.